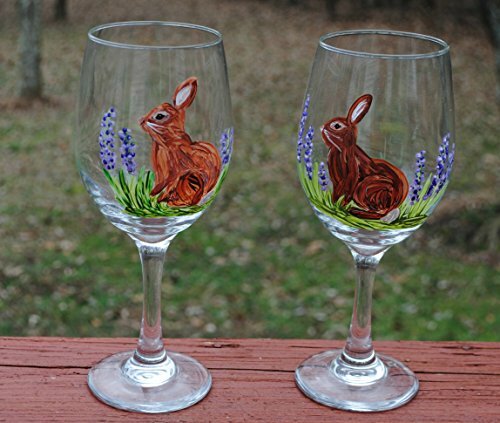 Add a touch of whimsy to your table with our Easter Bunny Rabbit hand painted wine glasses.These 20 ounce glasses come in a set of 2. Hand washing is recommended even though they are painted with enamel paint and baked on for durability. If you have any questions about this product by Atkinson Creations, contact us by completing and submitting the form below. If you are looking for a specif part number, please include it with your message.